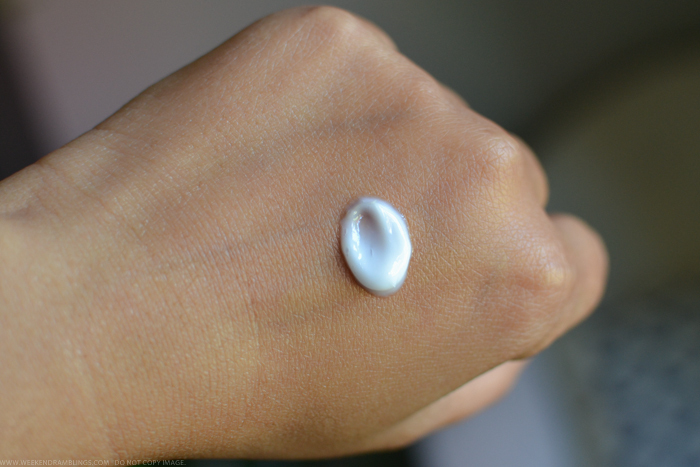 The lotion has a very mild powder-like smell to it that is hardly noticeable even while applying. It absorbs easily into the skin and keeps my skin hydrated through the day. It is a light lotion and not really comparable to body butters that I generally use, but on days that I need something that absorbs quickly and doesn't leave my skin tacky or greasy, this lotion is a better choice. 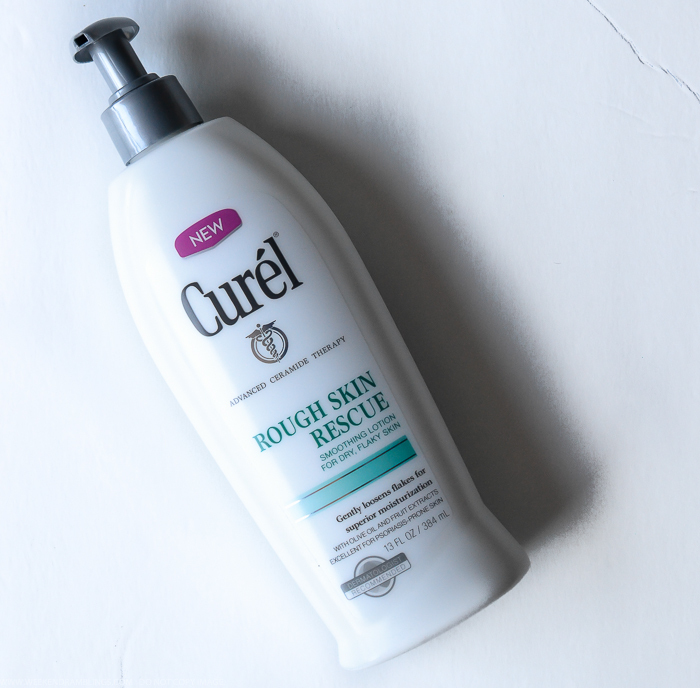 Curel Rough Skin Rescue Lotion also has the added benefit of providing gentle exfoliation to the skin. The ingredients that help with this are lactic acid and also probably the AHAs from fruit extracts. Lactic acid/AHA works by loosening dead skin cells and speeds up the natural skin exfoliation process. If you are prone to getting ingrown hair or have been having issues with KP, this might be a good addition to your skincare routine. The drawbacks to the lotion, though, is that the very same AHA/lactic acid that works so well with gentle exfoliation also makes skin sensitive to sun damage and prone to sun burns. I generally stop using skincare products with AHA (or any similar photo-sensittizing ingredient like lactic/glycolic acid/retinol, etc) if I know I will be spending a lot of time outdoors, but it's not always a convenient solution. 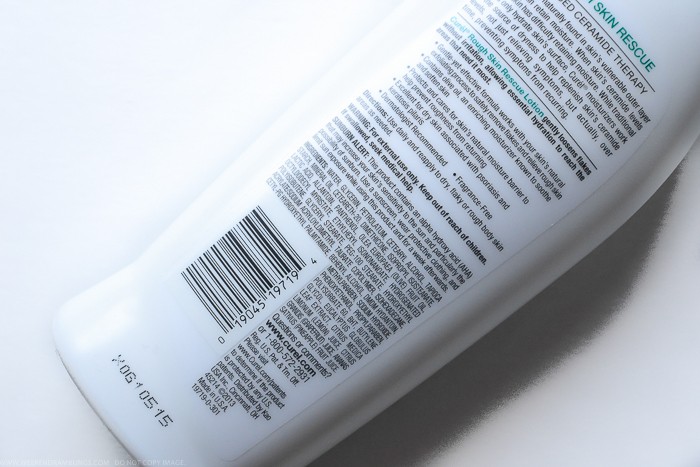 As mentioned on the bottle, the photo-sensitizing effects last for a while even after you discontinue using the product, and you definitely do need to take sun protection seriously while using this product. I also would not use this lotion if skin is already irritated/inflamed. If you have sensitive skin (burns easily, reddens, is prone to allergic reactions, etc.) and/or are unsure about skin reactions to products, try out with a smaller-sized application first to ensure that this product does not irritate your skin. I know that sounds like a long list of don'ts, and I actually do not have any issues with this moisturizer, but everyone's skin is different. My experience with this product may not be the same as yours. I take sun protection and skin allergies very seriously because my skin gets irritated at the slightest chance it gets, but my husband can (and does) use any product lying around the house without a second thought! Oh..thats nice! Any idea which one it was? I also want to give it a try. This one is good but I have to be careful with sun exposure....and here its alwaaayyys sunny!